To decorate or not to decorate? That seems to be the question of the season. Or at least one that I have encountered enough times that I feel it is blog worthy! The Proper Foundation: Is your home normally clean and tidy? Would you consider it to be in a “staged state” prior to your decorating? If so, then adding a few decorations will create a lovely ambiance. However, if your home is cluttered adding additional nick knacks is a big Ho-No (see what I did there?). Make it Cozy: I don’t mean jam pack the space so that people can’t easily navigate their way through it. Remember, less is always more. BUT the right festive holiday touches can go a long way. Have some cider simmering on the stove, start a fire (ONLY if you have a fireplace), turn on some flameless candles, leave out some cookies, place a great wreath on the front door – and you’ve created an ambiance that will appeal to any buyer! Complement Existing Décor: Are the colours you are decorating your home consistent with the esthetic of the home? Remember, buyers like consistency. We do not need to be jarring them with opposing colours or designs throughout the home. Accentuate the Positive: Done right, holiday décor can be used to dress up the key features of a home. Do you have a beautiful fireplace? Then make it stand out as a focal point in a room with beautiful garlands. Or do you have high ceilings? Accent that with a large wreath or other décor. Go Classic with the Lights: Curb appeal is incredibly important as it creates that (hopefully positive) first impression. Stay away from the large cartoonish inflatables or bright flashing lights. They are too distracting and take away from the home itself. As a side note, I do own an inflatable Christmas Minion that we proudly have in our yard every year. But I would not put it up if our home was for sale. Stick to the more classic white/yellow bulbs placed tastefully along the eavestroughs. It adds a look of sophistication and class. Decorating the Tree: I would advise against getting a wide and bushy tree. It will make the space feel smaller. Instead opt for a skinnier version, and similar to the point above about complementing your existing décor, keep the tree décor more consistent as well. Stick to three colours or less, and no homemade items. It’s too personal and makes it difficult for the buyer to picture themselves in the home. Do your best to keep the home accessible. I do not expect you to be showing on Christmas Eve or Christmas Day (although it has happened), but try and keep the place as neat and tidy as possible so that it is not such a daunting task to entertain a showing request on December 27. Competition Dries Up: I have found year-after-year that listings that may have been sitting in December all of a sudden sell through in the three weeks following Christmas. Why? Because inventory is SO limited at this time of year. A lot of people seem to take their home off the market during December but that doesn’t mean that buyers stop looking! Only the Most Serious Buyers: Truthfully. Who actually wants to look at houses during the holidays? Only those buyers who seriously need a place. Whether it be expiring leases or their own home having recently sold or any other combination of unique circumstance, the most serious of buyers are out and looking at this time of year and they tend to be much more decisive and strong in their negotiations. And finally, DO NOT let selling your home ruin your holiday. Work with your Realtor to determine blackout dates and even visiting hours that are appropriate for you over the holidays. Quite often they can post the schedule in Realtor Remarks so that other Realtors know when they can and can’t show the property. While it is important to keep the home as accessible as possible, it does not have to be to the detriment of your enjoyment of the holidays. Thank you for reading. I hope you and your family have a wonderful holiday season filled with love, laughter, family, and friends. And from my family to yours, Merry Christmas! A survey of Canadian real estate agents in 2013 indicated that smoking can reduce a home's resale value by nearly 30%. But this does not have to be the case! About 88% of real estate agents surveyed said it is more difficult to sell a home previously occupied by smokers. Those same agents said about 27% of their clients will not even consider buying a home in which a smoker has lived. So what do you do if your house smells like smoke and you want to sell it? How are you going to attract a buyer for your property? I know, it sounds obvious. Yet so many people think that just one cigarette here and there won’t have an impact – but they do. There is a compounding effect with each additional cigarette. And you can’t eliminate something you keep bringing into the home. Take it outside for now. Hopefully your home sale isn’t in the middle of winter! If it is, I promise this step will be worth it! Open windows, get fresh air coming through the property if this is in the spring, summer or fall. If the weather is too cold outside, then you may have to resort to other tactics. Put a couple of drops of vanilla extract on a new furnace filter, and remove the old one. Have your ducts cleaned. Then switch your furnace fan setting to “on” instead of “auto”. This constant movement of air throughout the house goes a long way. The same goes for bathroom fans, kitchen exhaust fans, etc. Bring that fresh air in and force that stale air out! Any soft surface in your home is likely holding a ton of the smell. Get your carpets steam cleaned by a professional. Let them know in advance that you are trying to eliminate a smoke smell, as they often have special mixes for circumstances such as these. Pull down those drapes, wash them if you can. If you can’t, air them outside for a few days. Hard surfaces still need to be washed too – wood banisters, metal décor or light fixtures, etc. can all be wiped down with a mixture of vinegar and water. From the Windows… to the Wall! Wash those walls. Tri-sodium phosphate (TSP) and water are a powerful combination and will remove a lot of odour, but not all. But at least it is a start! TSP is also good for breaking up the nicotine molecules so that yellow grime will wipe away. You will also want to wash the windows as the nicotine residue can make them look foggy or stained. Not something you want to draw attention to when selling! 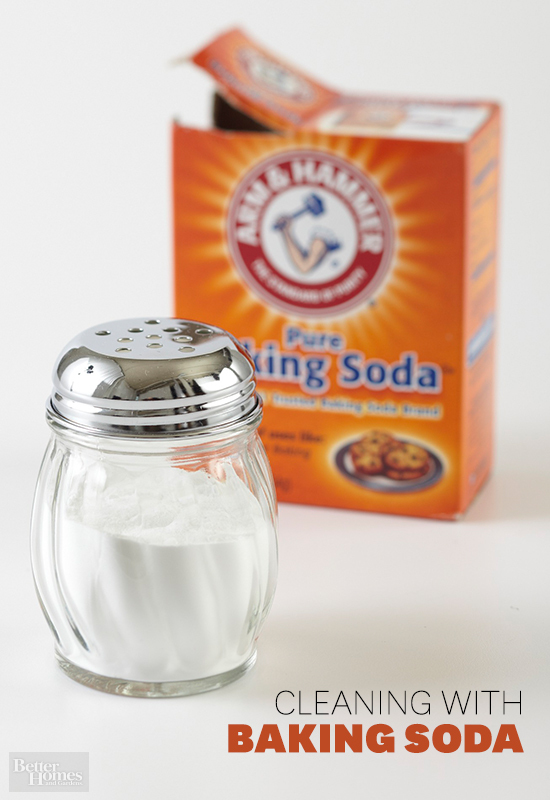 Don’t forget the power of one of the most common odour neutralizers – baking soda! Just a regular dusting of this on soft surfaces can make all of the difference. Baking soda naturally neutralizes odors and does so by bringing acidic and basic odor molecules into a more neutral pH or state. Just sprinkle, and then wipe or vacuum it up, depending on the surface. Please, don’t do it! There is nothing worse than walking into a home and smelling the fresh chemical scent of Febreze or a similar product. While these products do advertise that they eliminate odours, I have yet to find a buyer who is not offended by the strong smells that come with these products. 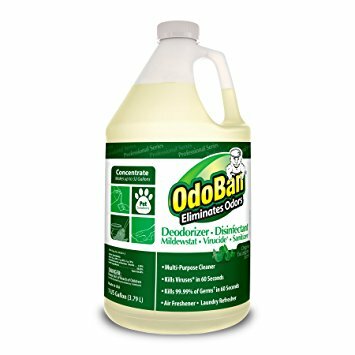 If you want to use these products to eliminate odours, do it when you do not have showings scheduled. Spray the surfaces and let them air out before any traffic comes through. Doing it immediately prior to a showing however, will leave buyers questioning what exactly it is that you are trying to cover up. You don’t have to be a great baker, to get some amazing scents. 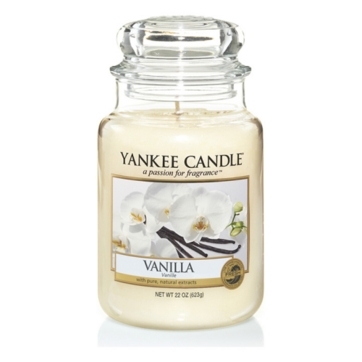 While buyers seem to find chemical or odour-covering sprays offensive, they do tend to respond positively to baking-scented candles (vanilla scents are usually very safe). 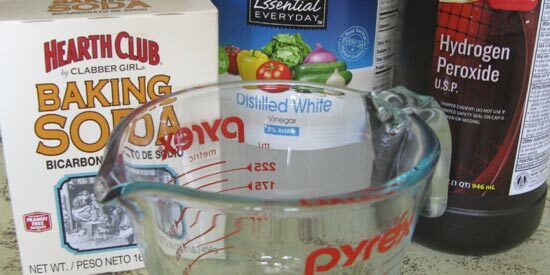 Alternatively, a little bit of vanilla extract put in an oven-safe dish with a bit of water, and then baked for just half an hour will create some delicious (and believable) scents! Better yet, buy a roll of Pillsbury cookie dough and bake half a dozen cookies before each showing. Bonus points if you leave them on the table for your favourite agent! While I have not tested the legitimacy of this claim, I have had some clients swear by leaving activated bowls of charcoal around the house, to absorb smells. Alternatively, bowls of vinegar throughout the house can supposedly do the same thing. With a step as easy as this one, what’s the harm in trying, right? I know, up until now my suggestions were more on the mild side. But let’s be honest, even following all of the steps above will likely only make a dent in the smell. Purchase a high-quality primer such as Bullseye or Killz, they are both known to eliminate/lock-in odours, to prevent anything from seeping through. If you’ve followed the previous wall-washing step with TSP, then the adhesion of these primers to the wall is even better. Most experts recommend at least two coats of these primers, as nicotine has a nasty ability to seep through with time. I realize, it sounds like a lot of work but there is an upside to this recommendation. Interior paint increases your resale value and has an approximate return on investment of approximately 40%, according to a recent study by HGTV. But please go with neutrals – greys and beiges, or get wild and go greige! This product can be purchased at Home Hardware and Giant Tiger in Canada. It can also be purchased online through Amazon. It is often used for fire restoration procedures, and works. It is sprinkled on to surfaces (soft and hard). Always do a test spot before putting it on any fabrics though! I have had some success with these machines in the past. However, there does seem to be a direct correlation with the cost of the machine and the quality of air it produces. I have had clients that had success with this product in the past, however be forewarned. You set off the fogger, and need to leave the house for a period of time. I believe in their case it was 2 days, which was fine as they were moving into the home from an apartment. When you return home, the smells are supposed to be gone. They said they could smell chlorine, but that was about it. For a 1700 square foot home, they set off six and had great success. They did think it was slight overkill and think they could have gotten away with setting only four off. Be careful not to leave them directly on carpet. In my clients’ case, there was a nasty bleach-looking stain left behind where they left one of the boxes directly on the carpet. Their advice was to place a plate under them. They can be purchased online. 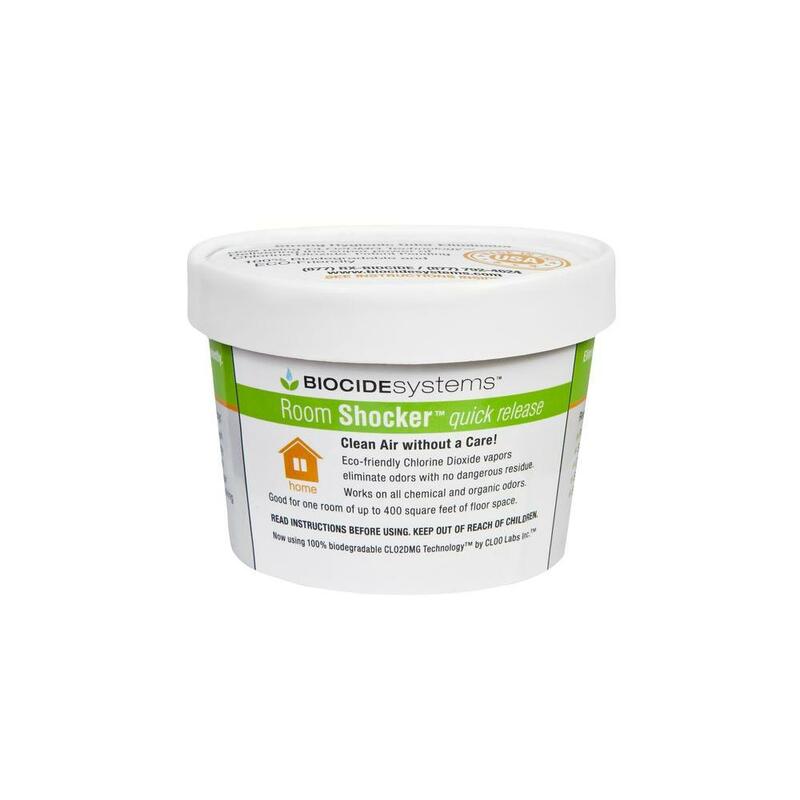 Biocide’s online description: Room Shocker exclusively uses the revolutionary ClO2-DMG Technology that delivers the super odor eliminating power of chlorine dioxide, also known as ClO2. ClO2 is a gas that can penetrate deeper and more effectively than non-gas products. The ClO2 molecules are attracted to the negatively charged odor molecules like a magnet is to iron. It seeks them out and destroys them like a smart bomb. Whether you are dealing with the foul odor of cigarettes, skunks, pets, paint, vomit, urine, rotten food, fish, mildew, mold or even chemicals, Room Shocker will eliminate it permanently. Another strong chemical product. Similar in theory to the Biocide systems room shocker – but I have not had clients with experience in using these. However, their online reviews are quite positive. You have to buy these online as well. These can be controversial as they are removing the smoke from the air, but leaving their own carcinogens behind. If all your hard labor didn’t remove the smoke odor as much as you would like, it’s time to bust out the big guns and follow the lead of restoration companies. You can call restoration companies and ask to rent one directly from them. You will usually need to rent it for a couple of days. Alternatively, you can purchase one – but they aren’t cheap! 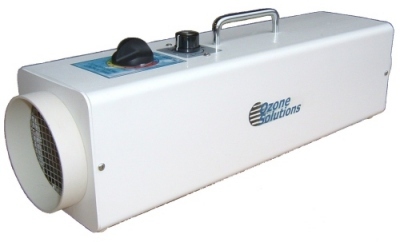 These machines emit ozone molecules that attach themselves to the surfaces in the room. These machines should only be run in empty rooms, away from humans and pets, and be sure to air your house out after running them. There are business that specialize in removing odours from your homes. But they come at quite a cost, and will use many of the tactics mentioned above. I have heard quotes anywhere from $2000 - $15,000 depending on the remediation package chosen. I would say this option is more for the most serious of cases. I can only think of one house in my career that I would have recommended this as the proper solution. Following these steps will hopefully remove the bulk of the smoke smell. 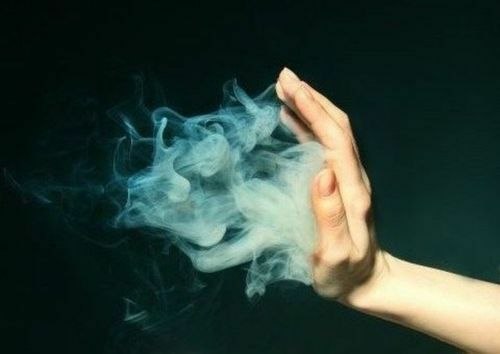 Although, I have had some clients so sensitive to smoke, whether it be because of an extra-powerful sniffer, or serious allergies, that just will never consider a smoked-in home. However, taking these measures will hopefully reduce the smoke smell enough that the average buyer will not turn their nose up (sorry, couldn’t help but use a pun) at putting an offer in!